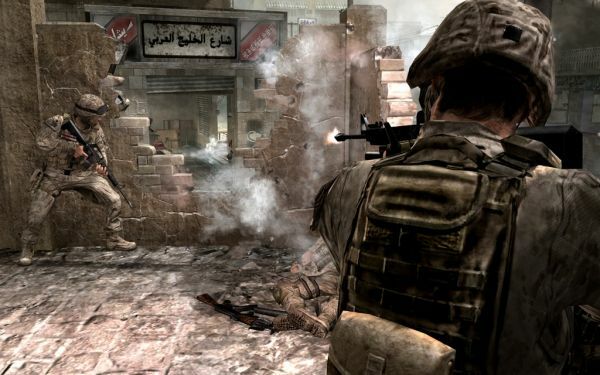 Call of Duty: Modern Warfare 2 hit stores yesterday, and already the internet is abuzz with excitement, and people mysteriously skipping class or work to play. The sales from these excited gamers will be celebrated by military veterans, as publisher Activision-Blizzard's "Call of Duty Endowment" (CODE) will be donating $1 million toward boosting employment for unemployed Vets. "Unemployment may have hit double digits in the nation last week, but for veterans, finding a job has always had its challenges. The unemployment rate among people who served in the military since 2001 was 11.6 percent in October, according to the Bureau of Labor Statistics." Bobby Kotick, Activision-Blizzard's chief executive, feels there is something they can do to benefit these veterans. "The joblessness rate that [veterans] should have should be far less than the national average, not more. How do you expect people to actually join the military if when they leave the military they can't integrate back into the free market they're supposed to be protecting?" This fueled their decision to make the $1million donation. Their attention to the military unemployment issue doesn't end at writing checks, either. "The military's predominantly male makeup falls squarely into Activision Blizzard's preferred 18- to 35-year-old male demographic. The military has started using video games to train recruits, and service members often spend their down time with game consoles in hand. Activision Blizzard regularly donates video games and gaming consoles to the military through the USO, and the donations have helped the company identify and hire veterans who are interested in the gaming industry." Give in to the gaming industry, so they can give back. Sounds like a good system to me.